The 2018 Volkswagen Golf Sportwagen is more than just a stylish, streetwise station wagon — it was also named one of Car and Driver Magazine’s “10 Best” new cars to buy for the 2018 model year. How did it earn such a distinction? By combining the practicality and utility to be a people mover for you and your family with the driving sensation enthusiasts crave. Even when compared to the venerable, wagon-like 2018 Subaru Outback, the 2018 VW Golf Sportwagen gives you more. How much more? See for yourself at our dealership location just outside downtown Seattle. And don’t forget to check out our new car specials! 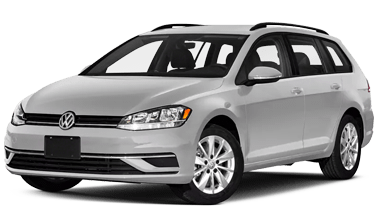 We’ve got brand-new deals each and every month on great vehicles like the Golf Sportwagen. You’ll find some great standard features both inside and out of the 2018 VW Golf Sportwagen. For starters, the Golf Sportwagen has LED tail lights and LED daytime running lights standard, and also comes with roof rails much like the 2018 Subaru Outback. The available 12-way power adjustable driver’s seat in the 2018 Volkswagen Golf Sportwagen gives you plenty of options for finding the perfect driving position. That’s more adjustments than you can make to the premium power seats in the Outback. You also get a leather-wrapped steering wheel and heated exterior mirrors standard on the Golf Sportwagen. 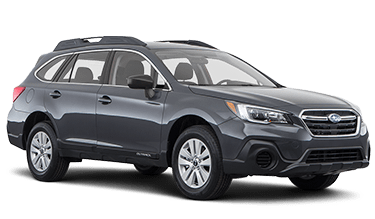 Those features will cost you extra on the 2018 Subaru Outback. While the 2018 Subaru Outback offers a thirsty 3.6L 6-cylinder upgraded engine, the 2018 Volkswagen Golf Sportwagen doesn’t need a bigger engine to deliver superior performance. Thanks to 184 lb-ft of torque provided by the 1.8L turbocharged 4-cylinder engine, the AWD Golf Sportwagen gets to 60 MPH from zero faster than the 2018 Subaru Outback 3.6R Touring. The Volkswagen Tiptronic® automatic transmission allows you to manually select your gear when you need to and even comes with a Sport mode for more aggressive gear changes. Or, if you want to pick your own gears full-time, the manual version of the 2018 VW Golf Sportwagen is even faster, achieving 60 MPH in just 6.7 seconds. With available 4MOTION® all-wheel drive and Driver Assistance active safety features, anything the 2018 Subaru Outback can do, the 2018 VW Golf Sportwagen can do safer. Both vehicles can be equipped with automatic driving aids like autonomous emergency braking, rear traffic alert, blind spot monitor and adaptive cruise control. An exclusive safety feature to the 2018 Volkswagen Golf Sportwagen is post-collision braking, which ensures your vehicle comes to a stop after any impact. Not all accidents instantly stop the vehicles involved.